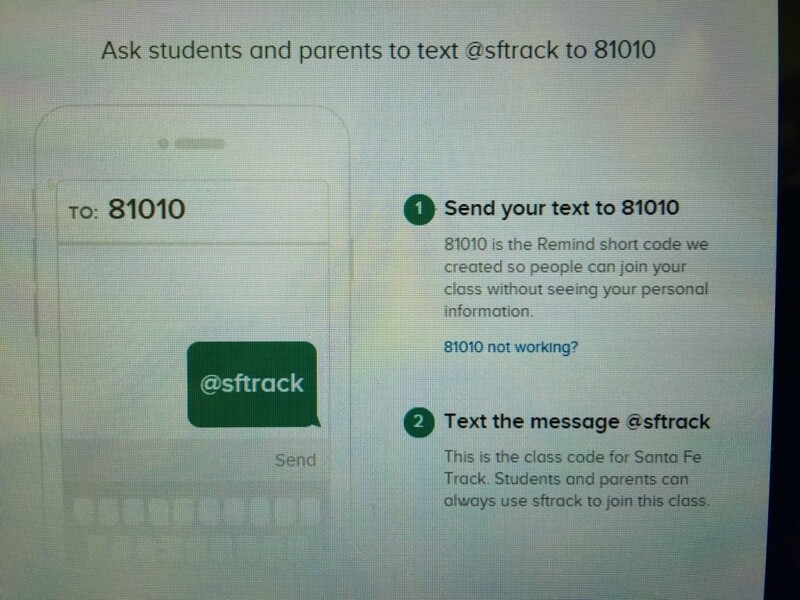 Please take a moment this week, track athletes and parents, to sign up for the Santa Fe Track Remind 101 account. It is a quick and easy way to keep tabs on important information for our track program – as well as any last minute practice or schedule changes. 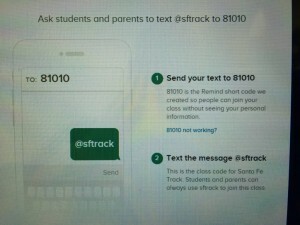 Sign-up is easy … just text “@SFTRACK” to 81010 and you’ll be good to go. Only 11 more days until we open the season at the Wolverine Winter Relays on February 12 – and the site of that meet has been moved to Clear Brook HS due to continuing construction on the new stadium where it was originally scheduled. Field events begin at 3:00.